Having spent decades selling all manner of agricultural lands, farms, and ranches along the Hamakua Coast and across Hawaii Island, I know a rare opportunity when I spot one. Such is the case with a private tree stock listing in Pepeekeo, just north of Hilo. 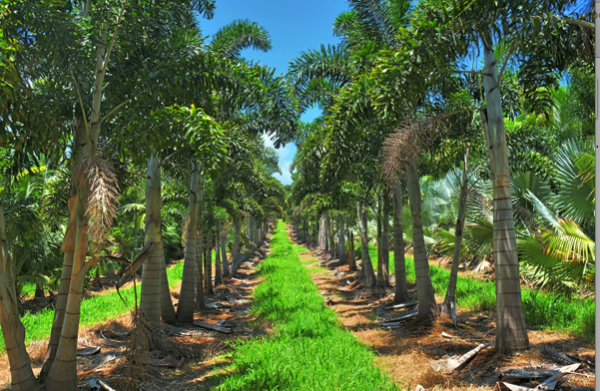 The seller, an experienced nurseryman from Florida, is selling thousands of young and mature palm tree field stock – more than 58 varieties in all – plus several varieties of bamboo. It is the trees, covering an expansive 10 acres, rather than the land itself, which is for sale. 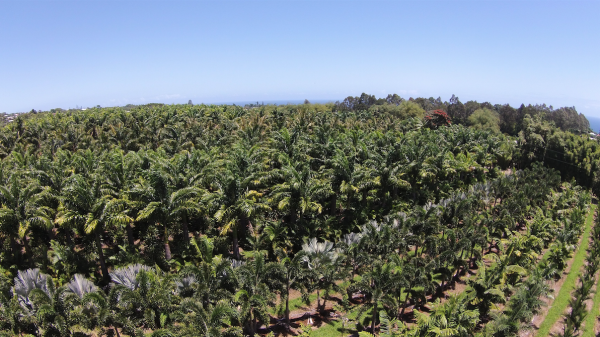 A sale of palm tree field stock along the Hamakua Coast is the perfect opportunity for developers and nurseries looking to expand their operations. 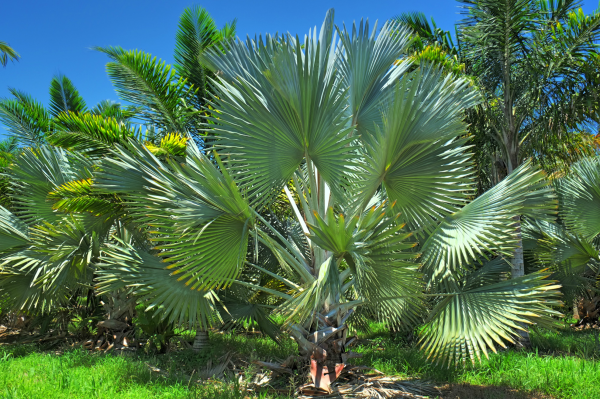 The palm stock includes several highly prized and sought-after varieties, including silver bismarkia and sealing wax red palm trees, known as lipstick palms. These palms have a high market value and are sought after for use in upscale communities. What Makes This a Rare Sale? In several parts of the mainland, including Florida, this type of sale is very common. However, it’s rare for a stock sale of this size and variety to become available in Hawaii. It’s an ideal situation for subdivision developers or nursery owners looking to expand their operations who don’t have enough stock for landscaping. Planted in the rich fertile soil of the Hamakua Coast and nourished by the Hawaiian sun, the trees have been strategically planted in increments resulting in a variety of tree sizes and ages. This ensures there will be plenty of tree inventory for years to come, thereby maximizing your investment. Thousands upon thousands of palm trees, including container stock, are for sale along the Hamakua Coast. In addition to mature palm stock, the seller is including container stock, thousands of potted palm trees in 1 to 20-gallon size containers. As an added incentive, the seller is willing to sell the stock with a five year term, meaning the seller will water and maintain the trees for five years after the sale with the buyer providing the chemicals and fertilizer, as well as removal equipment. The tree inventory is located in Pepeekeo, just north of Hilo, the transportation hub of east Hawaii. Ease of access to highways and a deep-water harbor make transporting the trees easy and efficient.